Even though the forex market is the largest financial market in the world, it is still pretty confusing to retail traders. Up until the internet made currency trading popular a few years ago, FX was usually only traded by large financial institutions, multinational corporations, and hedge funds. However, more and more investors are becoming more familiar with this fascinating market. 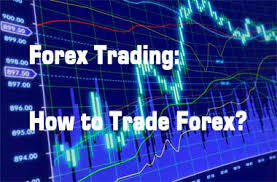 That’s why we put together the answers to some of the top questions about the forex market. What makes the forex market different from other markets? Unlike stocks, futures or options, currency trading isn’t done on a regulated exchange. It’s not controlled by a central governing body, there aren’t any clearinghouses to guarantee the trades and there isn’t any arbitration panel to settle disputes. Members trade with each other based on credit agreements. Basically, transactions in the largest, most liquid market in the world depend on nothing more than a verbal agreement. This is why it’s crucial to always deal with only reputable retail FX dealers. Does forex trading have commission fees? Investors who trade stocks, futures or options usually use a broker, who acts as an agent in the transaction. For the task of taking the order to an exchange and attempting to execute the trade, using the customer’s instructions, the broker charges a commission. The FX market doesn’t have commissions because it’s a principals-only market. FX firms are dealers, not brokers, which is a critical distinction. They make their money through the bid-ask spread. The bid-ask spread is the difference in price between the highest price that the buyer is willing to pay and the lowest price the seller is willing to sell it for. Everything above the purchase price is profit. A pip is the “percentage in point” and is the smallest increment of trade in FX. In the forex market, prices are quoted to the fourth decimal point. The change in that fourth decimal point is called 1 pip and is typically equal to 1/100th of 1%. What are you really buying and selling In the currency market? In the FX market, you’re basically buying and selling nothing at all, because it is purely a speculative market. There isn’t any physical exchange of currencies ever. All trades exist only as computer entries and are netted out depending on the market price. The most popular trade in the currency market is a carry, which is practiced by both the largest hedge funds and the smallest retail speculators. The carry trade rests on the fact that every currency in the world has an interest rate attached to it. These short-term interest rates are set by the central banks of the Federal Reserve in the U.S., the Bank of Japan in Japan and the Bank of England in the U.K. The idea behind the carry is pretty straightforward. The trader goes long the currency with a high-interest rate and finances that purchase with a currency with a low-interest rate. Forex trading can be fascinating and profitable, however, you need to have a clear understanding of how it works and how to trade so that you can make as much of a profit as possible, rather than losing your principal. A very informative post indeed, Michael! Thank you mam! I appreciate your kind words. I haven’t heard from you in a while I hope all is well with you. Are you already for the holidays? Never ready for holidays when you have little ones. Haha! Yes Mam, so true even when they become adults but especially when they’re little. How many do you have and what are their ages? Only one daughter. She’s turning two in two weeks time! Thank you so much, mam. I really appreciate your kind words and you taking the time to read my article and join in on the discussion. I look forward to chatting with you again in the future.